The High Court is to hand down a judgement over a government legal effort to disqualify four democratically-elected pro-democracy lawmakers. 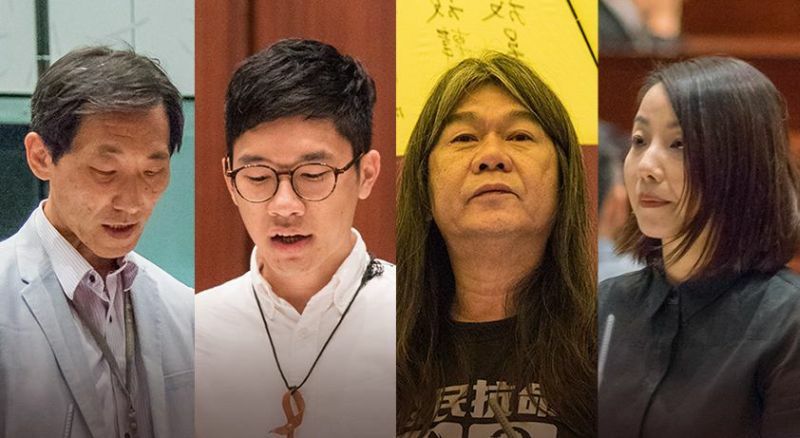 Lawmakers Lau Siu-lai, Edward Yiu, Nathan Law and “Long Hair” Leung Kwok-hung were challenged by the government over the controversial ways in which they took their oaths of office. The judgement will be delivered by Mr Justice Thomas Au at 3pm on Friday. 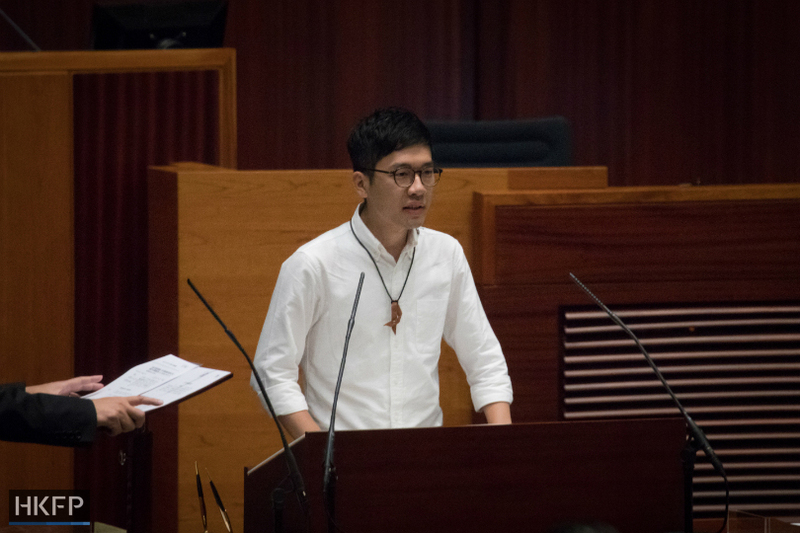 The government first challenged two localist lawmakers in October, after some deemed the words they used during their October 12 swearing-in session insulting to Chinese people. 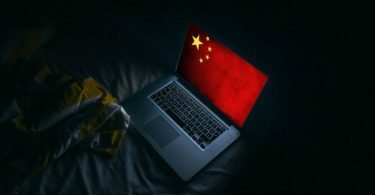 They were disqualified by the court for failing to take the oath, following an interpretation of the Basic Law issued by Beijing which deemed that lawmakers must complete their oaths sincerely and accurately. Former chief executive Leung Chun-ying and Secretary for Justice Rimsky Yuen applied for the case against four more lawmakers in December last year. During the oath-taking ceremony on October 12, Lau read her oath in slow motion over a period of almost ten minutes. The legislature’s clerk accepted her oath then, but the president later rejected it. Lau retook her oath in November. Yiu added the phrase “for democracy and for Hong Kong’s sustainable development” during his first oath-taking attempt, which was rejected by the clerk. He added the phrase after the traditional oath during his second attempt, which was also not accepted. He retook his pledge the following week. Law allegedly changed the tone as he read out “People’s Republic of China” to make it sound like a question, whereas Leung brought props to the stage and shouted slogans before and after reading his oath. Both pledges were accepted at the time. Pro-Beijing lawmaker Wong Ting-kwong omitted “Hong Kong” from his oath on the same day and was allowed by the LegCo president to retake it the following week. He was not challenged by the government. 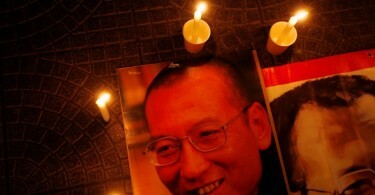 The four lawmaker’s cases were heard in early March. At the legislature on Thursday, Leung Kwok-hung criticised the Basic Law interpretation by Beijing as a tool of “political persecution” and said that the Hong Kong government had abused judicial procedures. He said their position is that they should still be considered lawmakers, until all judicial avenues including appeals are completed. Leung said they will meet their supporters outside court at 2pm on Friday, but they will return to the LegCo’s Finance Committee meeting at 2:30pm on Friday, instead of appearing at court. Nathan Law criticised the government for suppressing progressive, pro-democracy lawmakers at the LegCo. “Facing such a naked attack against the legislature… the public has to voice their opposition,” he said. The case is significant as the pro-democracy camp cannot lose any more seats if they wish to keep a minimum veto power in the geographical constituency. Edward Yiu’s seat is in the architectural sector of the functional constituency, in which the pro-Beijing camp already has a majority. 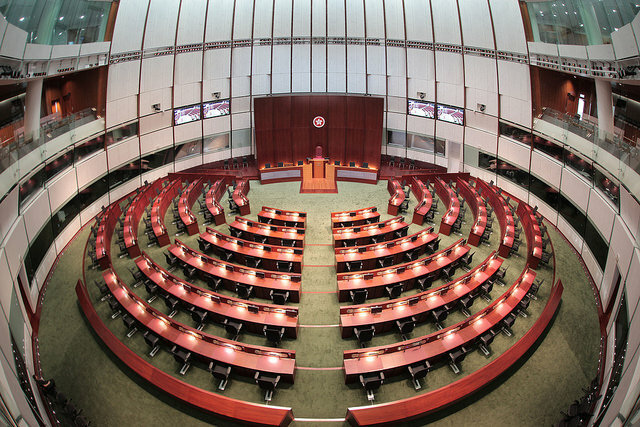 The Legislative Council will enter a summer break after Saturday.